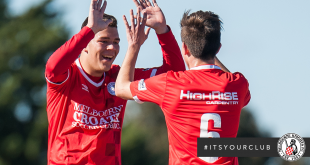 Two late goals gave the Melbourne Knights a valuable win over Moreland on Sunday, defeating the Zebras 2-1 at Knights Stadium. Adam Zilic cancelled out Carl Recchia’s opener in the 83rd minute, before Chris Talajic’s winner in the 86th sealed the Knights’ fourth win out of their last five league games. Despite the Knights now sitting a point from the finals places, the match was in reality a relegation six-pointer, and the home side was facing another home loss after Moreland hit the lead early. 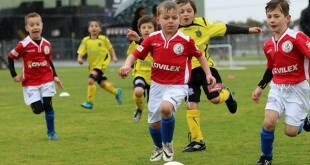 The old adage of fortune favouring the brave rung true, as Andrew Marth brought Talajic on for defender Ryan Filipovic, and along with the impressive Brandon Zezovski, the youngsters once again did the trick. “This club’s always been about promoting youth players, and they’ve really stepped up. Tala’s come in and scored two winners in the past two weeks, Zezovski’s been around now for a while, and fighting his way back after glandular fever in the off-season,” captain Adam Zilic said following the match. “It was one of those games where I’d rather lose two, or three nil then sit back. I’d rather take a chance and put some young kids on who will give you leg speed and create something for you,” coach Andrew Marth said. The Zebras took a shock lead in the 4th minute, when an unmarked Carl Recchia headed in from close range, after Dejan Radojicic’s header was denied by the frame of the goal. The Zebras dominated the opening twenty minutes, with Kliment Taseski running rampant, catching the Knights defence square on numerous occasions. However, they looked content to sit back after failing to add to their lead, as the match wore on. Jake Nakic should have made it 1-1 minutes before the break, but his side footed effort failed to hit the target with only Zebras keeper Griffin McMaster to beat. Fifteen minutes into the second half, former Melbounre Victory man Grant Brebner came on, but found himself going deeper and deeper into his own half, with Ben Surey and Tomislav Uskok dictating the tempo. Zezovski’s introduction onto the right wing gave the Knights added incisiveness with their passing, and on 83 minutes the sustained pressure finally paid off, as Adam Zilic tapped in Craig Sweeney’s teasing cross. Three minutes later, the Knights completed the comeback through 17-year-old Talajic, scoring his second winner in two consecutive matches, as the Quarry Hill in particular erupted. “The first 15-20, they were a lot better than us. They came out of the blocks very quickly, but after that the game sort of evened itself out. I think once Benny and Tom got on top in the middle, we eventually took our chances.” Zilic said after. 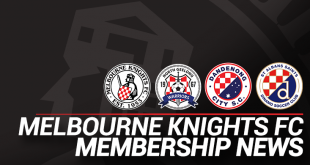 The Knights, riding a wave of confidence, now host league-leaders Dandenong on Sunday. The Round 3 clash between the two was tighter than the score line suggested, with two penalties from the Thunder stifling a more than competitive Knights outfit on the day.